Glitter heels are a fall staple this year, seen on the catwalk and high street, there's no escaping it! Personally I'm thrilled. I love sparkly things, especially coming up to Christmas! 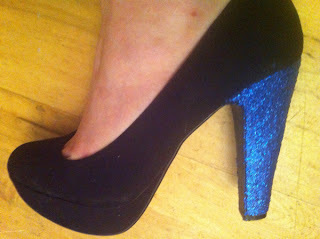 So here is how to make your own sparkle heels if you don't fancy fishing out for Miu Miu's. 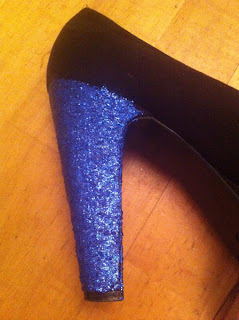 Heels, glue (I used fabric glue as my heels have a suede finish) and glitter. Mix together your glue and glitter to make a paste. Then brush it on your heels with a paint brush. try and make it as even as possible. Thin layers are recommended as if it clumps together too much it looks messy. Don't worry, the glue dries clear! 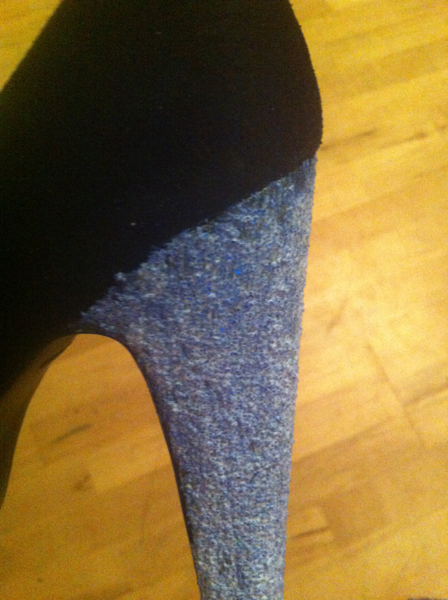 Allow the heel to dry before applying your second layer. You will need about 3 layers all together. Voila! It dries clear! YAY! 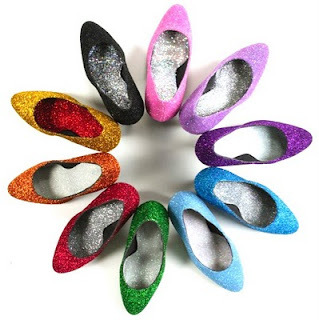 Tidy up the edges with the edge of a knife or something thatl scrape away the stray glue and glitter. In hind sight I should have used tape to mark it off.